Buying one lunch might not seem like a big idea, even if you’re on a budget, but multiply that cost by twenty or thirty days in a month, and suddenly you’ll have a significant expense on your hands. But how can you keep lunch appealing if it’s peanut butter and jam sandwiches five days a week? 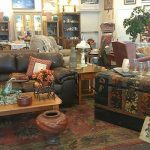 How do you please yourself, and your family, and stick to a reasonable budget? 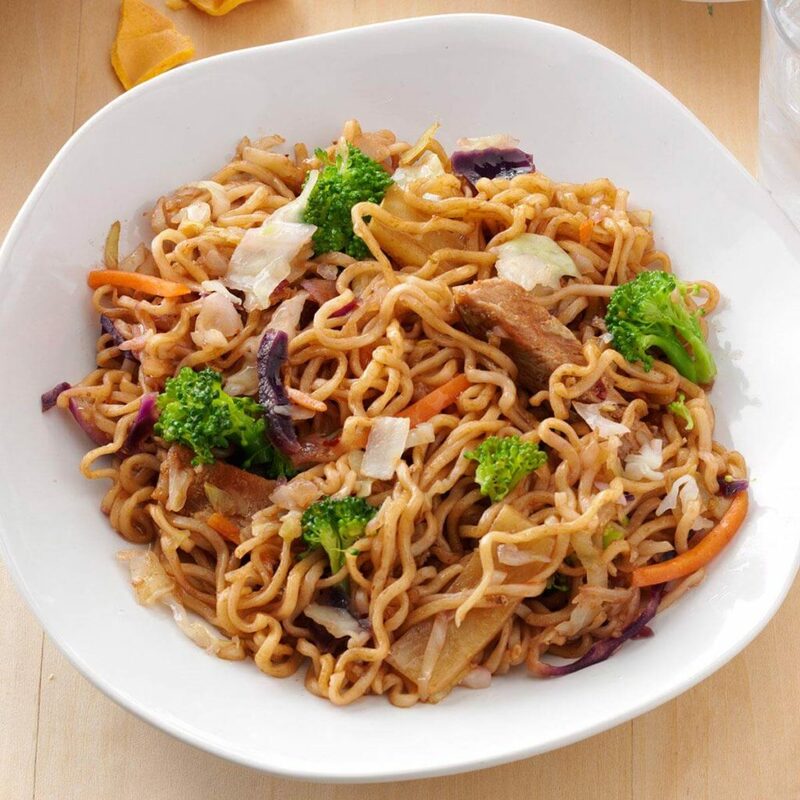 Check out these 20 cheap lunch ideas that taste amazing. Food costs money, whether you buy it from a supermarket or a restaurant – but many people don’t realize just how much difference there is between the two. This is because we’re not used to thinking in the same volume that restaurants do. They think in hundreds of meals a day in many cases, whereas we think one day at a time. 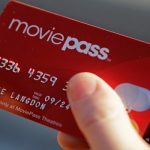 Consider a year’s worth of saving a couple of dollars a day though, and you’re up in the three- or four-digit range of savings. The number one reason for people wanting to make their own lunches is saving money, but it’s not the only reason that home-made lunches are a good idea. Making your own food is also good for your health. You would probably never scoop a big ladle of lard or harmful fats into your meal – but restaurants often do. You wouldn’t put a strong sauce on fish that was going off and eat it, but that happens in restaurants. Prepare your own meals and you know what goes into them – and into you and your loved ones! Wait a minute… variety? Don’t you mean a lack of it? 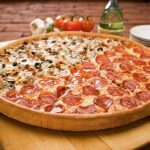 It might seem that way at first, when you compare a dozen restaurants with dozens of items on each menu, but the truth is quite the opposite. 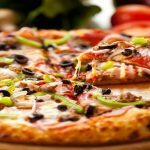 For one thing, most restaurants have many of the same items on their menus. Divide the actual variety by two hundred and fifty (or more) lunches a year, and it’s really not that wide a choice. 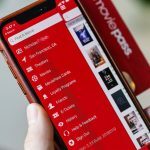 We’ve all had the experience of looking at a giant menu, and simply not wanting anything we see there. 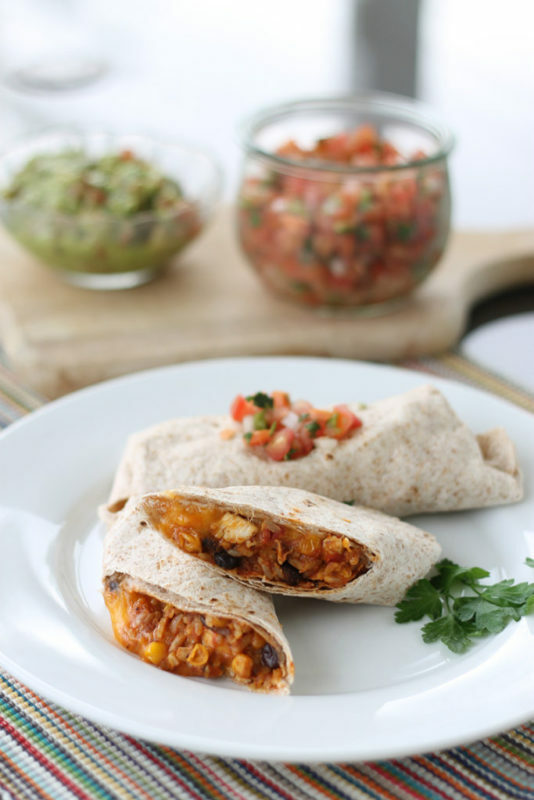 Here are twenty ideas for foods you can easily prepare and eat at home, or take into work. Once you get into the habit of preparing your own range of delicious lunches, the variety of your ideas will continue to grow. 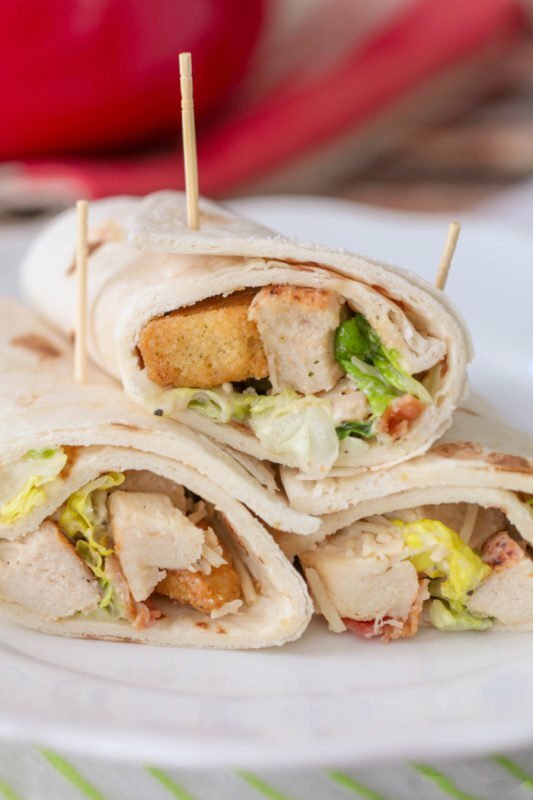 Take a wrap, throw in some chicken, romaine lettuce, and a little sauce from a jar, and you have a quick and delicious meal. Want to elevate it a bit? Watch a YouTube video on how to make your own Caesar salad dressing, then experiment with new flavors. 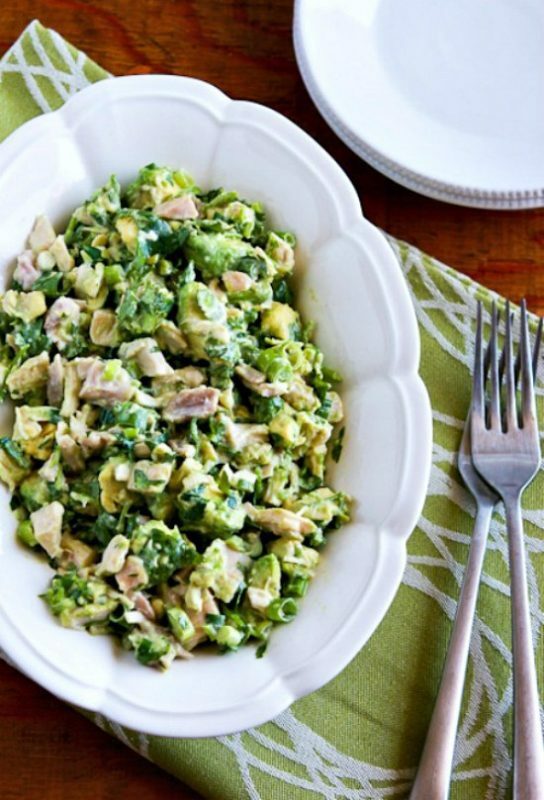 Smooth, rich avocado can take even dry chicken and make it mouth-watering again. Add in some tomato, finely-cut onions, and a squeeze of lime juice, and you’ll be anticipating that first bite all morning. Throw in something a bit spicy – a hint of chili powder works nicely – and your colleagues will wonder why you have that satisfied smile on your face. Tacos are quick and easy – some ground meat in a shell with some lettuce and tomato, under a pinch or two of grated cheese. 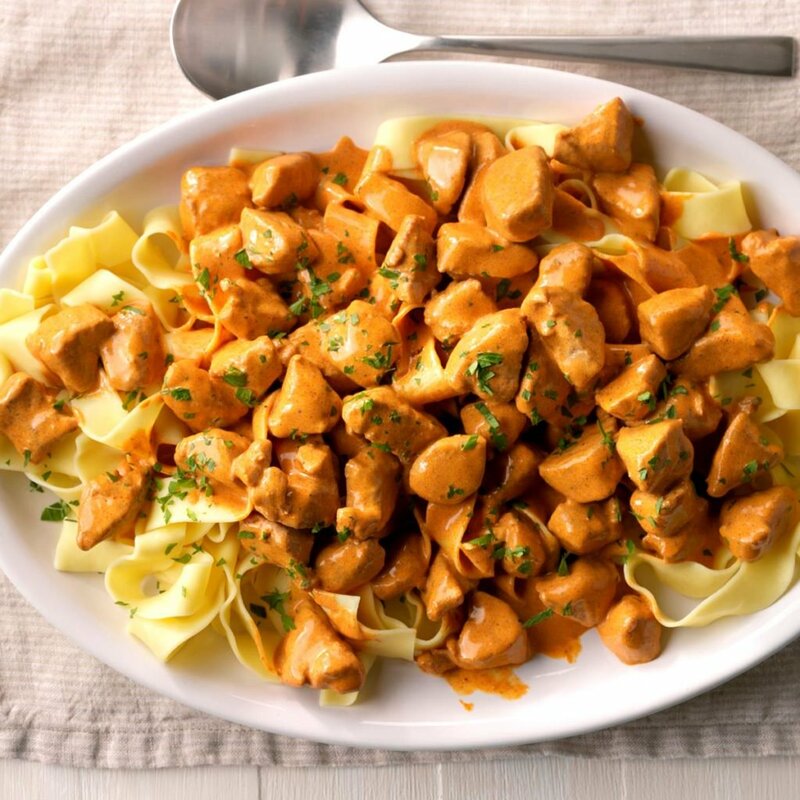 Mix up this traditional favorite by adding ground or diced chicken instead of beef. Toss it in BBQ sauce – as sweet or fiery-hot as you like it to be – and finish it off with some mozzarella or grated Edam. An inexpensive rotisserie chicken can go a long way in the right kitchen. 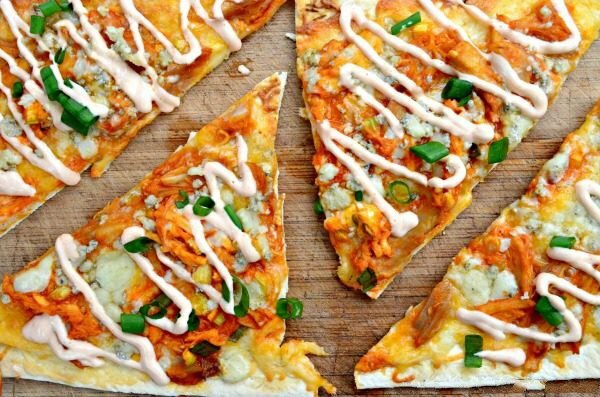 Have your tacos one day, then switch it up on the same theme with a zingy flatbread treat. Dice up some green onion, toss on some sweet corn, and your favorite creamy sauce. 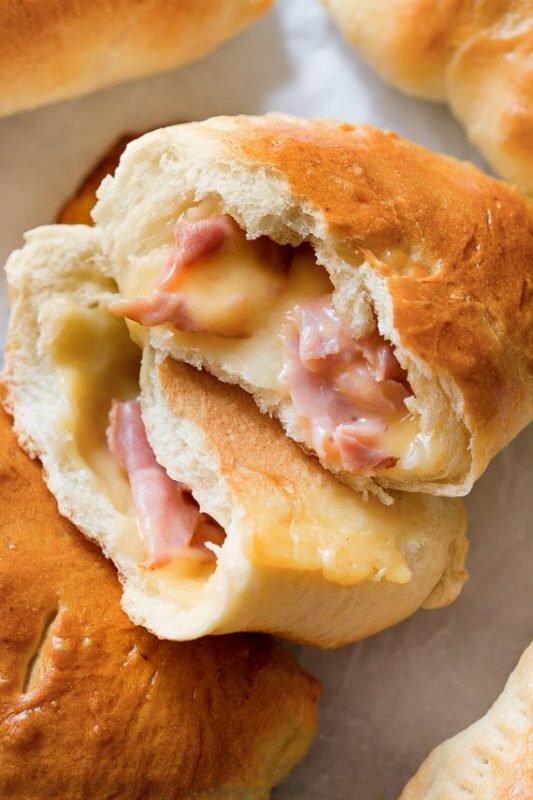 Simple, fast, and loved by the whole family, ham and cheese pockets can be your saving grace on a busy morning. Make them ahead of time and freeze them, wrapped in singles or pairs. On a busy morning, preparing lunch is as fast as grabbing a couple from the freezer and throwing in a crisp apple to round off the meal. Microwave at lunchtime, and enjoy a hot and satisfying meal. A Paleo Chicken Salad is a great option for this times when you don’t have access to a microwave or other oven – or you just don’t want to wait in line to use it! 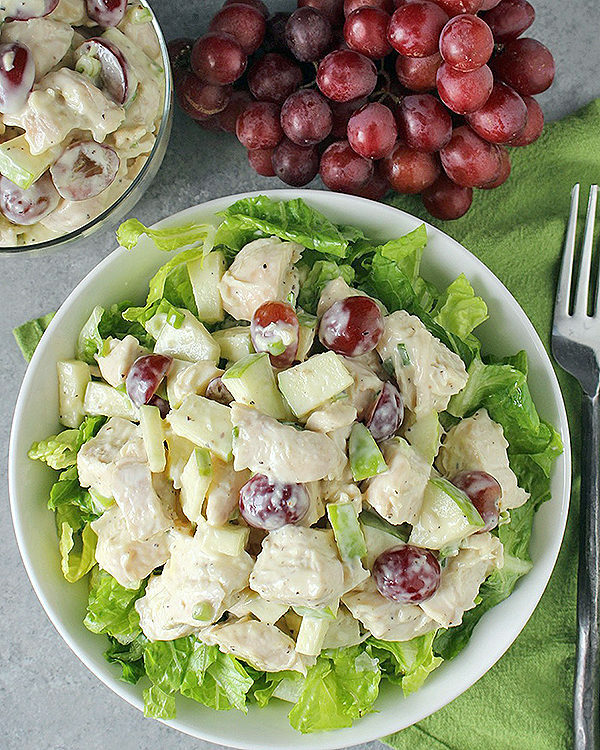 Greens, grapes, apple chunks and creamy chicken give a variety of textures and tastes that please the mouth and the stomach. 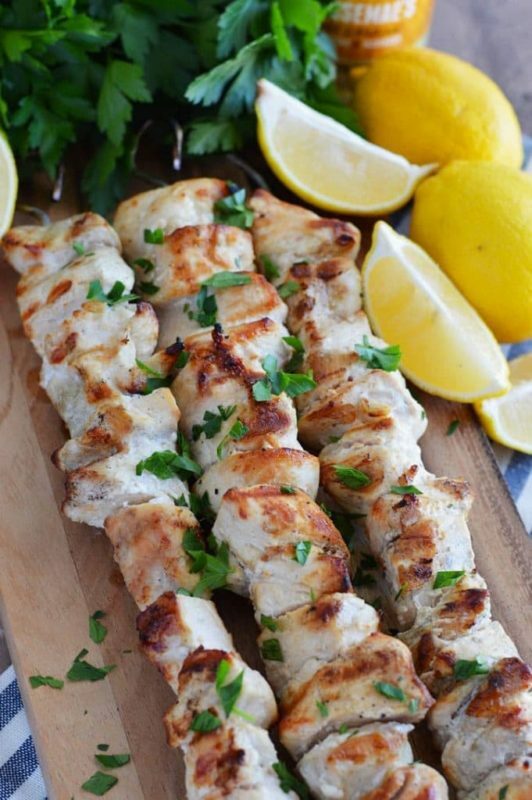 It’s not often that the name is also the ingredients list; marinate or dress your chicken in a hint of garlic and lemon to bring out the flavors of the meat, and you have the anchor of a great meal. It goes well with rice or roast vegetables if you’re looking to round it out and fill up the corners of your stomach. Take a ho-hum burger and make it a conversation piece. Tuna, dressed in hot peppers and blended with fresh tomatoes can make a paddy that will have mouths watering before the first bite. 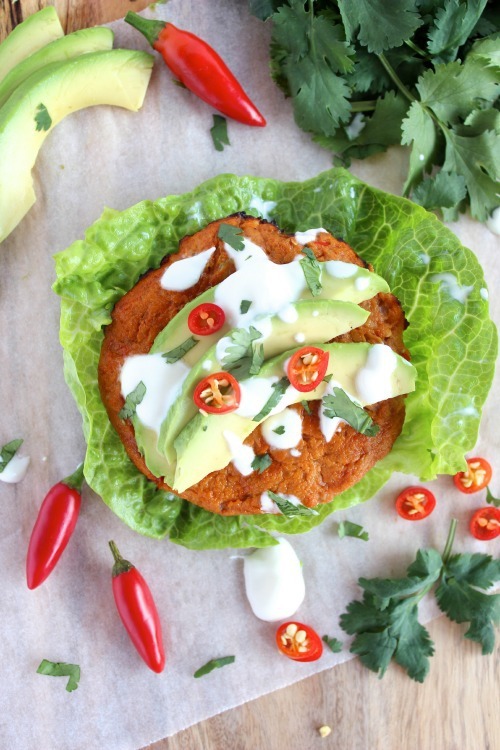 Switch out the bun for a greener alternative, and cut out excess carbs. 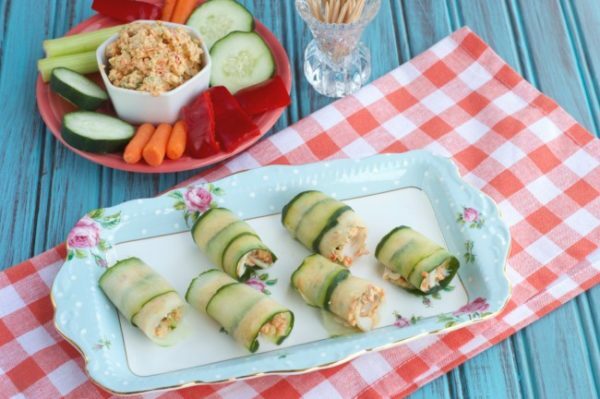 Turkey can dry out quickly, so keep it moist by pairing it with succulent cucumbers, rolled up in a tidy, convenient package that you get to eat as a bonus. 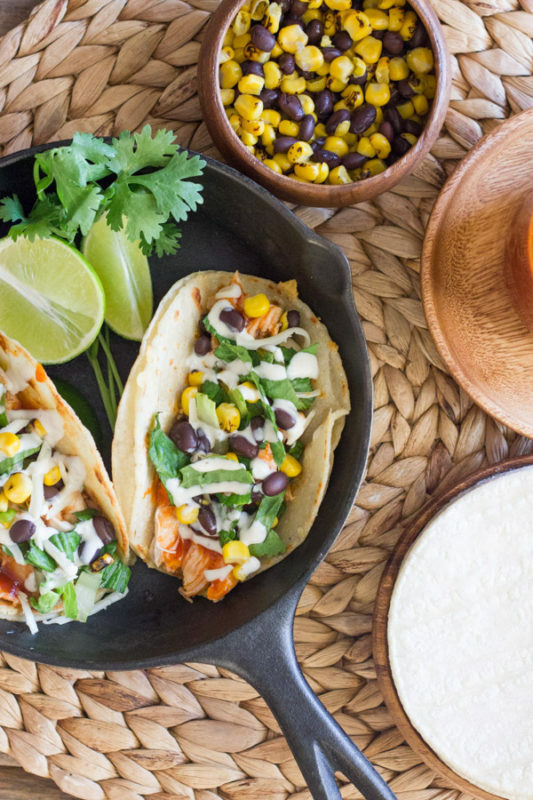 Beans, corn, and shredded strips of chicken make for a mouth-watering treat that can be made in a couple of minutes and will keep in your desk drawer or bag, for a fresh, delicious lunch. 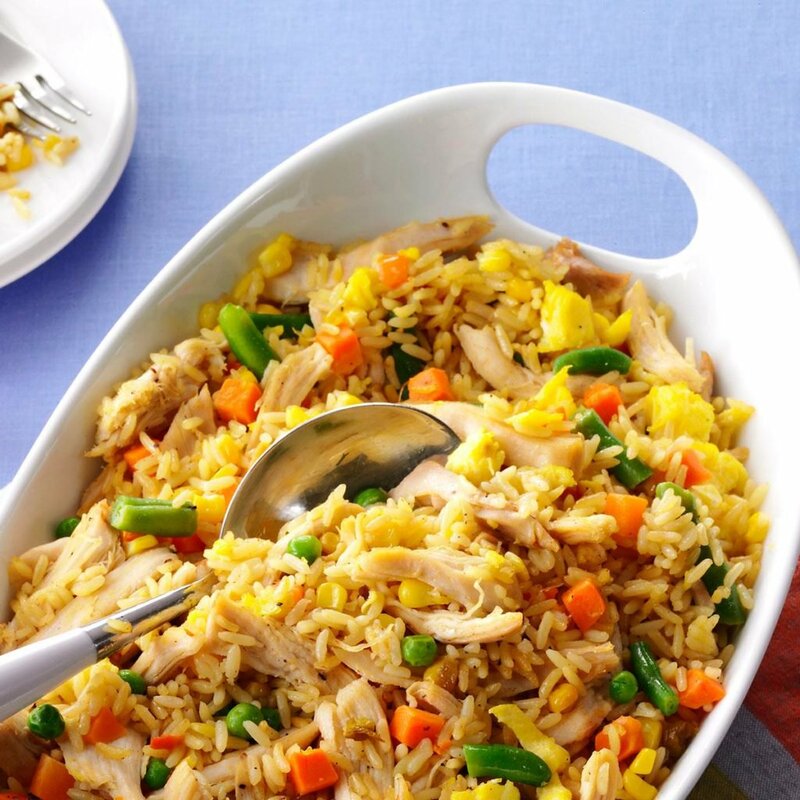 Bland, cooked rice is easily elevated with the addition of diced chicken and other favorite ingredients, tossed into a frying pan with a little oil and liberal heat. 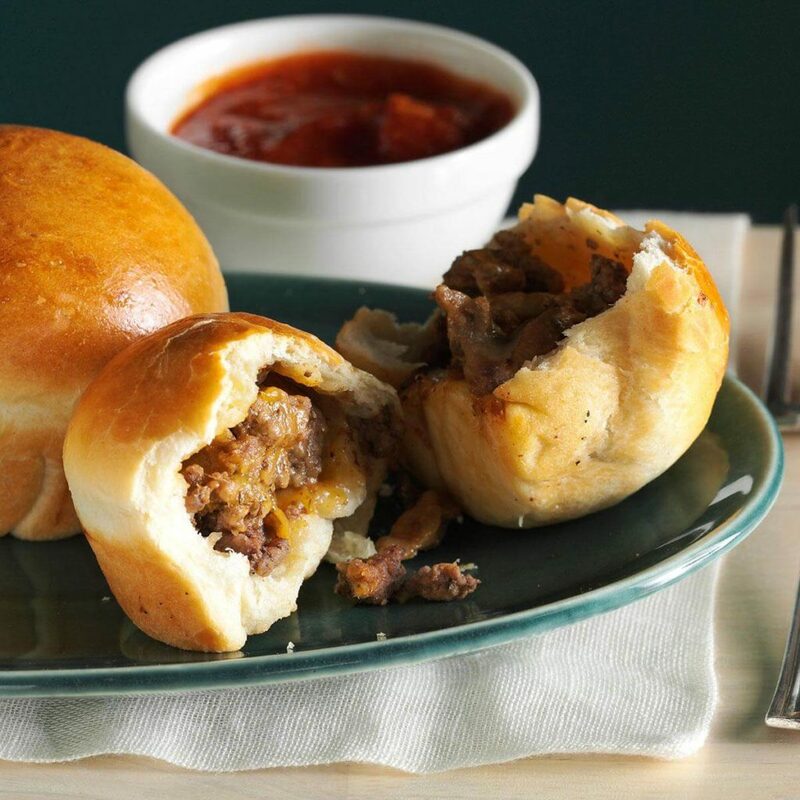 Warm pastry, rich beef, and creamy cheddar in an easy-to-store form – what’s not to like? This is another one that can be made once and frozen. Rather than make one batch, why not make two or three and put them away for a day when you just don’t feel like preparing anything – but still want a delicious reward for a morning of hard work. 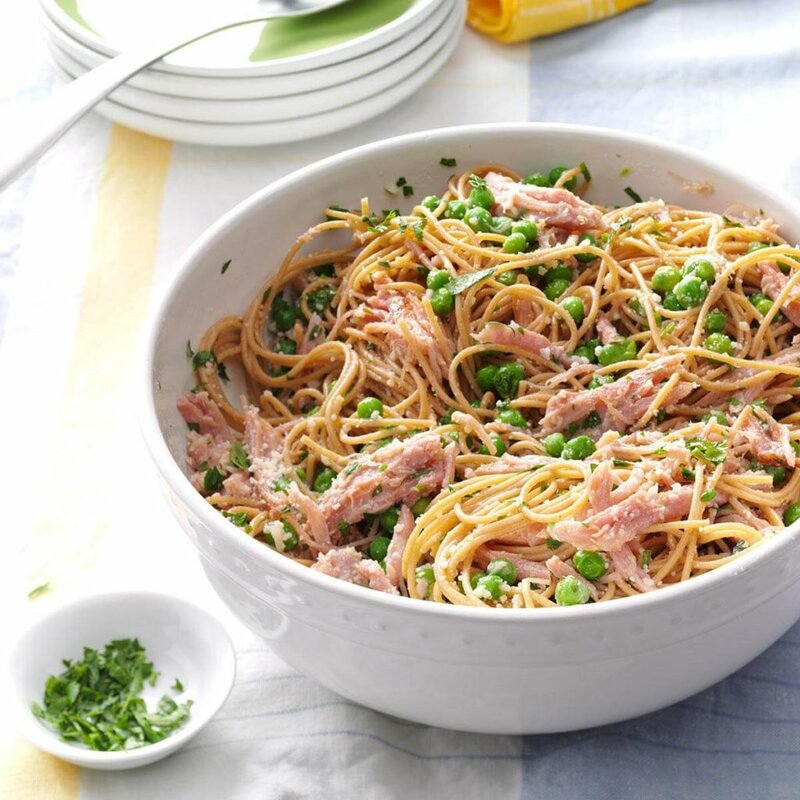 Almost as simple as the name: toss some fresh pasta in a cream sauce with diced ham chunks or diced slices. The result is understated, but deeply satisfying. Add chicken and grated cheese to pasta, hot from the pot, and stir up to a thick, delicious consistency. Add favorites for variety and nutrition, like yellow or butternut squash, or cucumber squares. 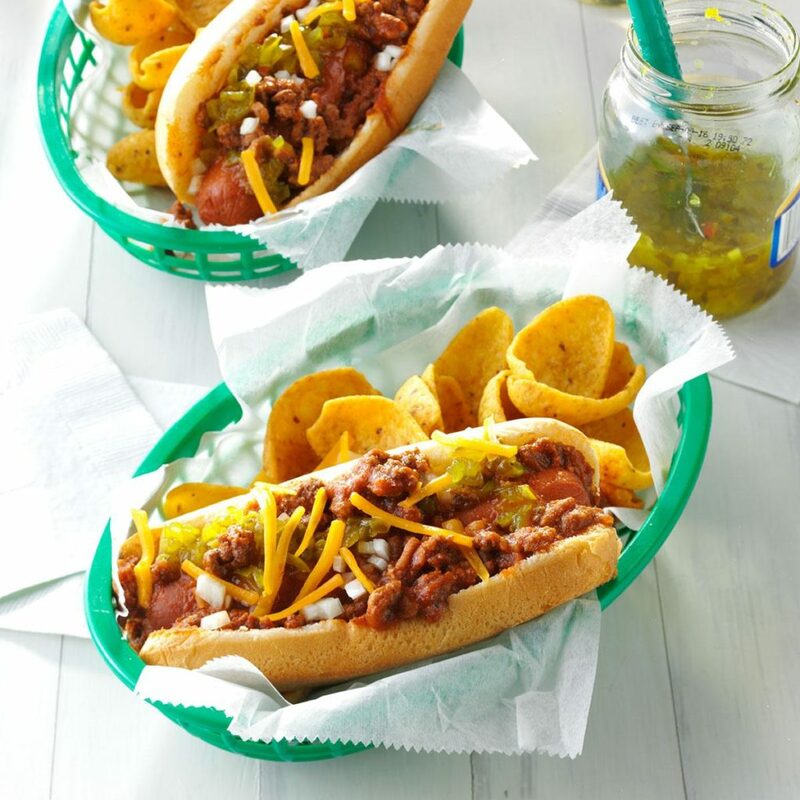 Coney dogs are easy to heat up, chili – whether homemade or from a can – is pretty simple too. Add the two of them up, drop them into a bun with some grated cheese on top, and you’ll have a family favorite. Keep the ingredients separate until time to heat them up, and this even works for work. Take a slice of Canadian bacon in a sprayed ramekin, pour in egg substitute to the top, and cook on high for 15-30 seconds. 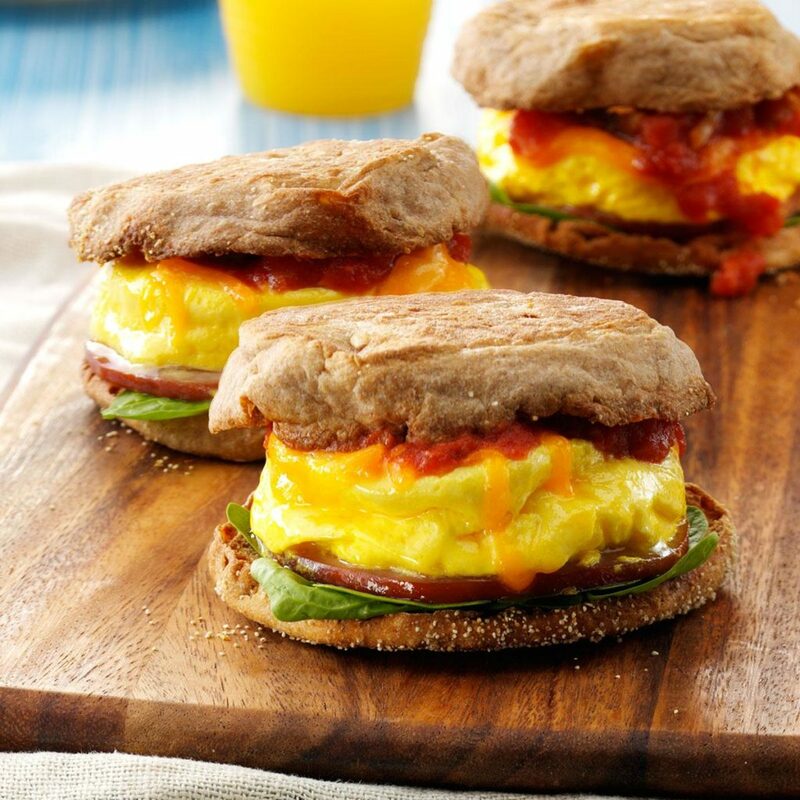 Pop it out onto an English muffin – available in whole wheat or regular – add some cheese, and enjoy. Pork is one of the most flavorful meats, and this makes it pack even more punch when paired with the right spices. Paprika, smoked or regular, really brings out the flavor. 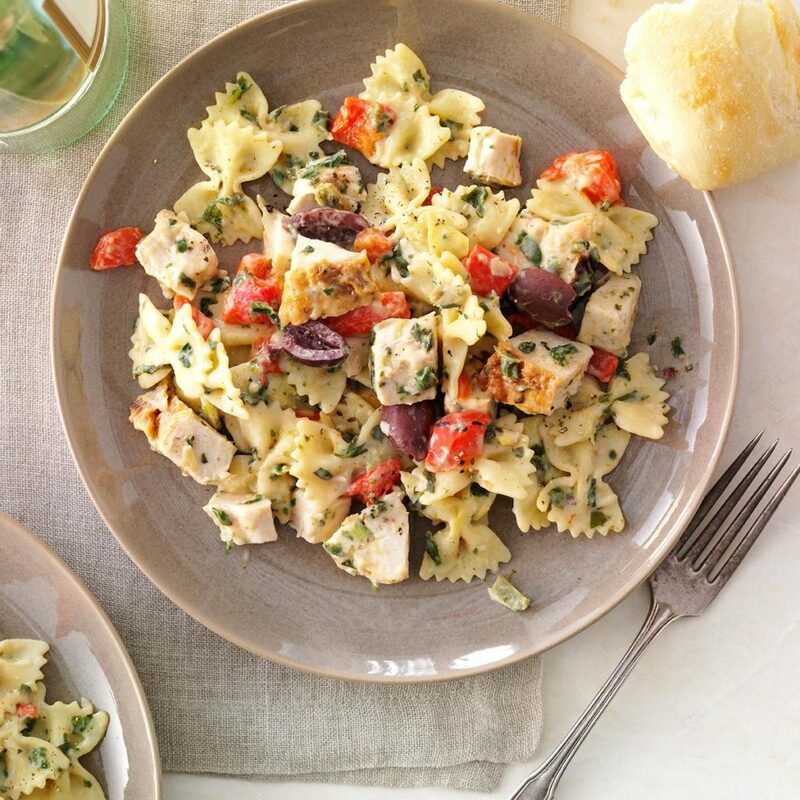 Spread on a bed of buttered pasta, this treat will have your family asking for more. 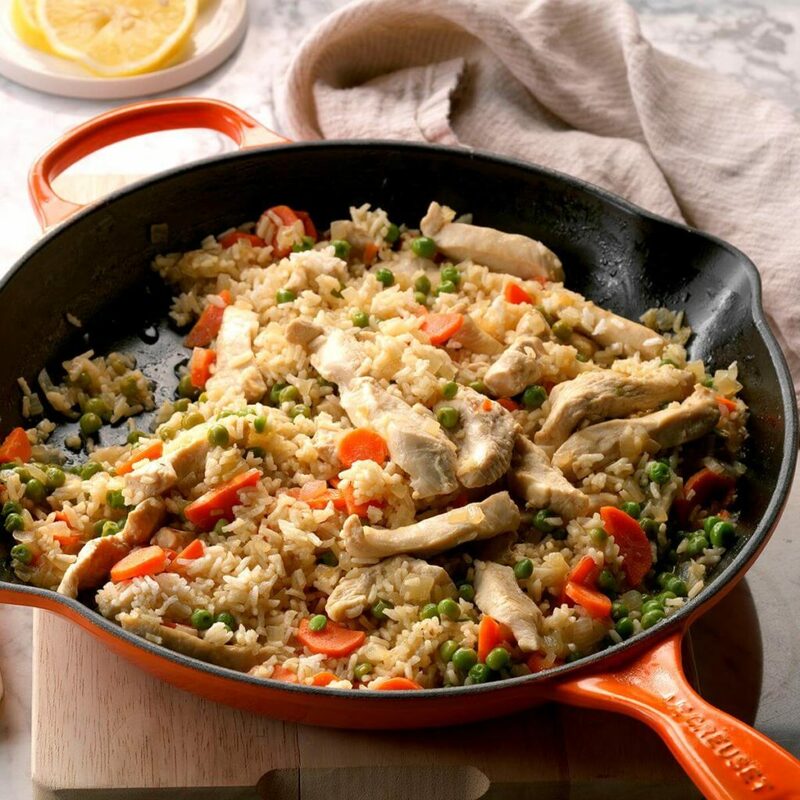 Mixed vegetables, fried up with rice and sliced chicken breast, with a light lemon highlight, sounds and looks like a lot of work – but it’s a quick and simple dish that can stand alone as a meal at home or in the office. Ramen cooks in no time, but it doesn’t have to be limited to the little flavor packet that comes in the cup. Fry pork to get a nice, crispy edge and succulent interior, then toss it in with broccoli and other vegetable favorites. Add the Ramen noodles and enjoy. 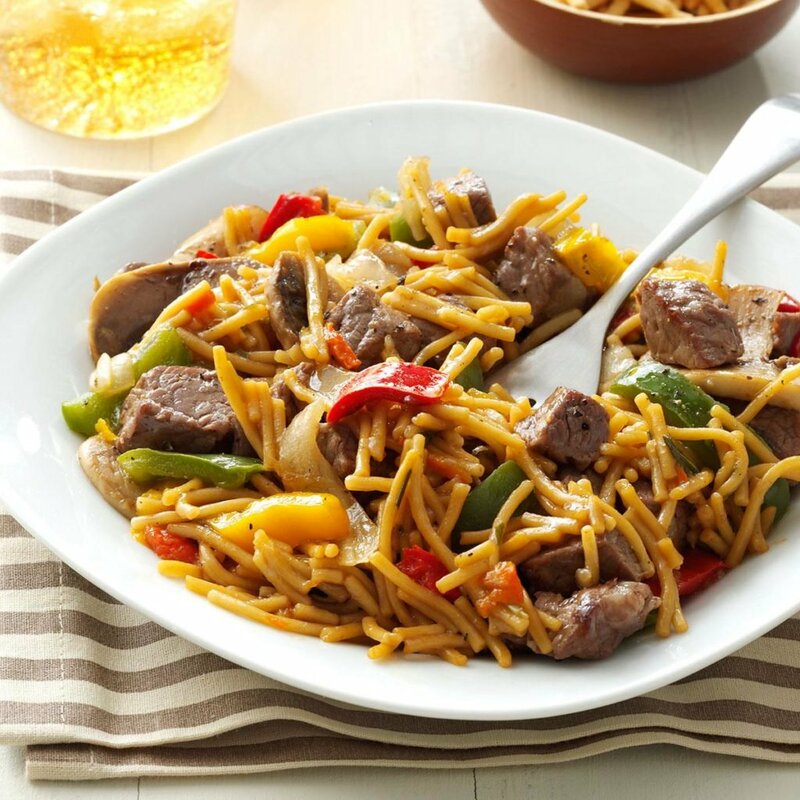 Fry up a mix of beef, peppers, onions, and mushrooms in teriyaki sauce, add to a freshly-cooked batch of your favorite noodles, and stir. That’s the simple recipe for a satisfying meal. Warm in taste and temperature, easy to prepare and pleasing to the eye. Your whole family will love it. 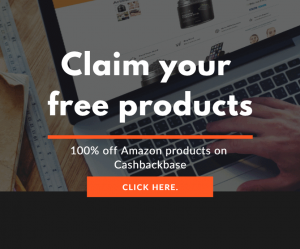 There is no need to spend a disproportionate amount of your monthly budget on lunches you buy in cafes and restaurants. There is no benefit in putting your health in the hands of restauranteurs who sometimes cut corners to make ends meet. There’s also no reason you and your family have to have the same three or four meals, over and over again in boring succession. Save money, guard over your health, and open up your lunch hours to a wide variety of food from your own culture and a dozen others. Prepare these amazing meals at home and make lunchtime a satisfying, delicious time of renewal in the midst of your day.